Bitcoin and other digital assets were conceived as radical, decentralized currencies that would operate independently, outside of traditional banking systems and unencumbered by regulations. But that is starting to change. In the United States, more organizations are accepting cryptocurrencies as legal tender, and as their popularity continues to grow, so does the rate at which their “outsider” status moderates. New York, California, Illinois, and Wyoming are some of the states that have already moved forward with legislation governing the use of cryptocurrencies in financial transactions, and federal agencies are exploring whether to regulate them. First, however, they must not only establish the legal status of virtual currencies, but also definitively characterize them: are they securities, money, commodities, or swaps/futures? In this hoganlovells.com interview, Evan Koster, a partner in the Hogan Lovells New York office, discusses the immediate challenges and complexities involved in regulating cryptocurrencies, and what it could mean when the factors that drive those regulations change over time. With virtual currencies starting to gain wider acceptance in the U.S., what trends should our clients be aware of now? Evan Koster: It depends on the client, but I think they need to be most concerned about the regulatory treatment of cryptocurrencies, because until there’s clarity, even the most well-intentioned clients will, unfortunately, be in an area where they’re not sure what the regulations are. The federal agencies that would be most active in regulating cryptocurrencies are the U.S. Securities and Exchange Commission (SEC), Commodity Futures Trading Commission (CFTC), and Office of Foreign Assets Control (OFAC) at the Department of Treasury. And obviously, regulations depend upon the state in which a company’s domicile is or where they’re operating their business. In the digital world, certain states and agencies, such as the New York State Department of Financial Services (NYSDFS), have taken a more prominent role in formulating regulations. You recently co-moderated a panel about trends in regulations, derivatives, and cryptocurrencies. What topics attracted the most attention? Koster: We discussed commodities and swaps. First, though, we should be clear on the terminology, and whether cryptocurrencies themselves are commodities. If they are commodities, then the anti-fraud and manipulation provisions of principal law dealing with commodities come into play, and that depends on the jurisdiction. Some courts have in some way acknowledged that they are commodities, which enables the commodity regulators to assert jurisdictions. Derivatives, however, are not the actual cryptocurrencies themselves; they are the products that are tied to the change in valuation of the cryptocurrencies, such as, for example, some of the futures contracts on the Chicago Mercantile Exchange. You can buy a product on the Chicago Mercantile Exchange where you’re not buying cryptocurrencies, but you are buying a contract where your payout is tied to a valuation of a cryptocurrency. That’s what a derivative on a cryptocurrency is. And if you are putting together those products, or if you are buying those products, under certain circumstances you may have regulatory responsibilities in addition to not engaging in fraudulent or manipulative conduct. There are reporting, filings, and other potential transactional requirements. How do you and your Hogan Lovells team help clients stay compliant with the regulatory reporting requirements for cryptocurrencies? Koster: If the client company is a “manufacturer” or “distributor,” they will have to know the proper characterization of the production to determine who their regulator is and what regulation there is, and we help them answer those questions. If they are a corporate entity, there may be some additional registration requirements. Then they may have to file as a dealer with the self-regulatory authority. So, for securities, they’d have to file with the Financial Industry Regulatory Authority (FINRA); if it’s commodities, with the National Futures Association (NFA). So it’s a threshold question really for them as to how they operate their business. And then not only are there registration requirements, but there may be implications from their business conduct, their contracts, and their hiring of employees. If they are a purchaser or an end user and they’re not selling cryptocurrencies for resale, but maybe they’re a fund, then that may trigger some type of commodity pool operator registration requirements. So, similar to a mutual fund, hedge fund, or private fund in the securities industry, there is comparable regulation in the commodities industry. If they are, we also advise them as to whether they’re trading in this as a commodity or whether they are commodity pool operators, and whether there are exceptions. If not, we advise them as to what are the disclosure requirements and what are the registration requirements. So that’s how it comes up. Are there other regulations emerging that apply to cryptocurrencies where we help clients stay in legal compliance while things are in flux? Koster: Well, since everything is digital, there’s privacy and cybersecurity regulations. Obviously those are very important. Also, given there are anti-money laundering concerns, Department of the Treasury regulations and money transmitter laws needs to be considered. 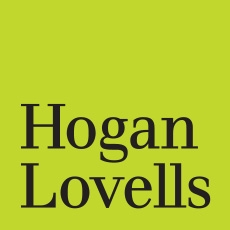 Clients or potential clients who need legal guidance on those topics should get in touch with Hogan Lovells. We have many experienced lawyers who will work with them.